On the 17th (Fri), snap pictures at Sydney Harbour Bridge. To find ratings, reviews, photos, and other tourist information, read our Sydney holiday builder tool . Winnipeg, Canada to Sydney is an approximately 23.5-hour flight. You can also do a combination of flight and bus. The time zone difference moving from Central Standard Time (CST) to Australian Eastern Standard Time (New South Wales) (AEST) is 16 hours. Prepare for a bit warmer weather when traveling from Winnipeg in May: high temperatures in Sydney hover around 24°C and lows are around 14°C. Wrap up your sightseeing on the 19th (Sun) early enough to drive to Katoomba. Start off your visit on the 19th (Sun): hike along Prince Henry Cliff Walk, take some stellar pictures from Pulpit Rock Lookout, appreciate the extensive heritage of The National Pass, then take in the dramatic scenery at Wentworth Falls, and finally explore the stunning scenery at Lincoln's Rock. Inspirock's itinerary builder makes planning a Katoomba trip simple and quick. Getting from Sydney to Katoomba by car takes about 1.5 hours. Other options: take a train. Traveling from Sydney in May, expect a bit cooler with lows of 8°C in Katoomba. Finish your sightseeing early on the 19th (Sun) so you can drive to Sydney. On the 19th (Sun), take in nature's colorful creations at Sam Fiszman Park. 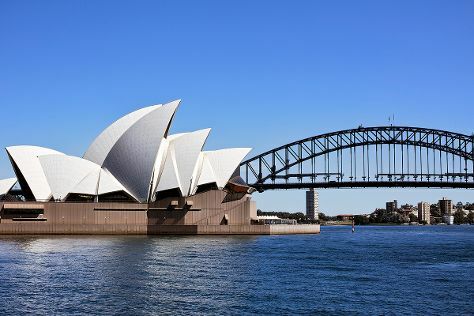 To see more things to do, other places to visit, traveler tips, and tourist information, go to the Sydney trip planning site . Drive from Katoomba to Sydney in 1.5 hours. Alternatively, you can take a train. Traveling from Katoomba in May, expect somewhat warmer with lows of 14°C in Sydney. Cap off your sightseeing on the 21st (Tue) early enough to travel to Melbourne. On the 21st (Tue), brush up on your military savvy at Shrine of Remembrance, kick back and relax at Brighton Beach, do a tasting at Seville Estate, then explore the galleries of Bruno's Art and Sculpture Garden, and finally indulge in some culinary diversions at a local gastronomic tour. On the next day, explore the striking landscape of Point Nepean National Park. 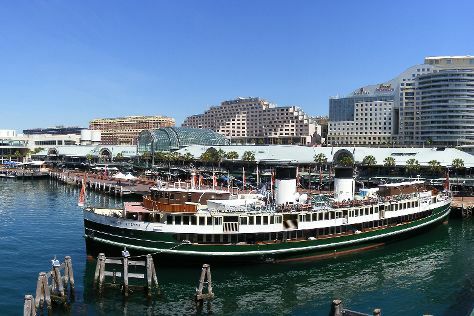 To find traveler tips, photos, ratings, and more tourist information, refer to the Melbourne day trip planning website . Traveling by flight from Sydney to Melbourne takes 3.5 hours. Alternatively, you can do a combination of flight and shuttle; or drive. Traveling from Sydney in May, expect Melbourne to be a bit cooler, temps between 20°C and 9°C. On the 23rd (Thu), wrap the sightseeing up by early afternoon so you can travel back home.